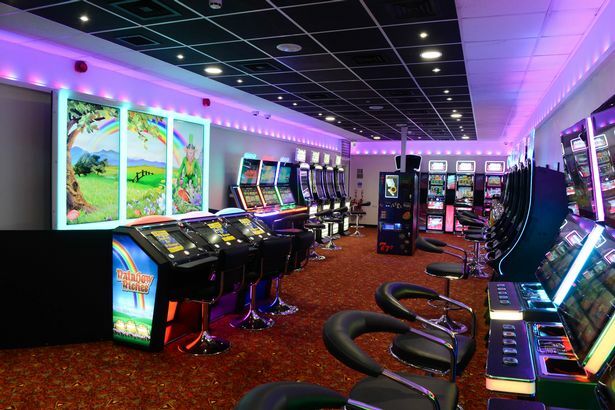 Carolyn is expected to lead a group of cross party MPs in condemning a British Airways television advert which shows a couple winning on a slot machine whilst on holiday, the reason being it 'glamorises gambling'. 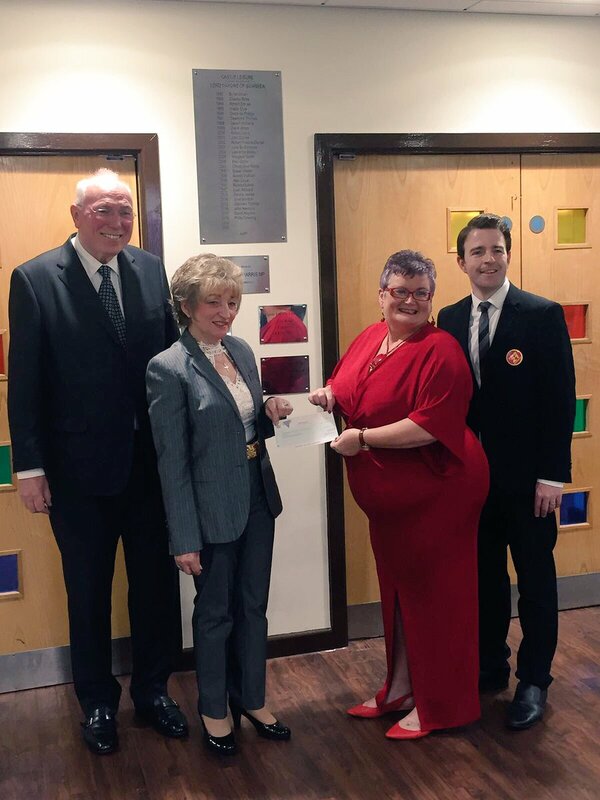 Here's Carolyn thanking Castle Bingo for inviting her to relaunch their Moriston facility. Included in her tweet are photos showing a number of women smiling and having a wonderful time gambling at the facility. Remember the thread from last month? It turns out that Kate lied, and she did know about her son's arrest and court appearance despite claiming she did not find out about it until much later. In fact, she wrote one of the five character references to the judge during the trial which meant her son, found guilty of selling Class A drugs at a festival where children have died from drug overdoses very recently, didn't even receive a prison sentence. To top it all off, she threw a bucket of water and threatened to smash a reporter from The Times over the head with a cricket bat because she didn't want to comment on the revelation about her lies. Fiona's car was caught doing 41mph in a 30mph zone. Instead of accepting she was speeding and paying the fine, she claimed a Russian man who was proven to be at his parents home in Russia at the time of the offence was behind the wheel of her vehicle. Meanwhile her brother admitted three charges of perverting the course of justice last week for exactly the same issue, claiming the same Russian gentleman was behind the wheel of his car when he was caught speeding three times. Yet Labour MP Fiona expects us to believe that this Russian gentleman, proven to be in Russia at the time, was actually driving the car and pleaded not guilty. In my opinion she should resign. I suspect she will not, just like the allegedly homophobic Labour MP in South Wales and the nepotic Labour MP in London who employs her drug dealing son as a £50,000 a year Chief of Staff. Kate is an MP in a city riddled with drug related crime and murder. Her son was caught with £2,500 worth of drugs at a festival which has a history of young people dying at due to drug taking. He was later selected as a Labour councillor after the current councillor, an 84 year old lady was ejected in hostile circumstances after criticising momentum on Facebook, and was hospitalised as a result of the events. When it was finally revealed and he had to step down after initially refusing to disclose his crime, his mum offered him a £50,000 a year job as her 'Chief of Staff'. She claims to have not been aware, for 13 months that he was arrested, trialled and given a ridiculously lean sentence of just 200 hours of community service for a crime that carries life mprisonment as an option. Financially he is desperate with a string of outstanding debts, yet somehow managed to pay for one of the most prestigious and expensive lawyers in the country. Of course this was all without his mum's help, as she didn't know it was happening. Be aware, that if you think this is appalling, or if you suspect she may have known, you're a racist, according to Kate Osamor. Thread Should MP for Swansea East Carolyn Harris resign? Carolyn has recently been accused of making homophobic comments to an employee in her office. Whilst she did deny them, she dismissed such homophobic insults as 'office banter'. Yesterday, former MP for Swansea East. Sian James testified that she had to warn Carolyn previously for her comments and 'jokes' towards her colleague about her sexuality. It got so much that this person had to go to her boss because the 'jokes' about her sexuality from Mrs Harris were becoming too much to bear. I personally think this is disgraceful. When you consider she is the Shadow Minister (Equalities Office) (Women and Equalities) for the Labour Party, it makes it all the more sickening. £37,000 wasn't enough for this Labour employee. What a horrible thing to say. Is it racist to call someones religious garment a 'costume'? I don't think it is but it is still a very poor comment. In 2016-2017 only Leicester, Everton and Southampton spent more than us on wages (excluding the big clubs). We are not plucky little Swansea fighting it out amongst the big boys, we're spending massively and should be doing far better. Whether the blame for the underachieving lies with the owners, the scouts, the self appointed director of football or the manager is up for debate. But us not spending enough certainly isn't. I'd be amazed if the likes of Huddersfield had a player on 30k a week, yet we likely have multiple players close to £100,000 a week and they still made us look like a conference side. That these draws and performances away from home weren't gutsy, they weren't well earned points; they were all horrific performances where we were very fortunate to escape with a point, or in some cases only a 2 or 3 goal deficit. EVERY away game under Carlos has been as embarrassing as that. Regardless if the opposition are Manchester United, Southampton, West Brom, Sheffield Wednesday or even Notts County. Pay him well in May for trying or perhaps successfully keeping us up but I really hope we part company in the Summer. It is clear why Sheffield Wednesday fans loathed him and he certainly isn't going to take us forward over a 38 match season. I look forward to revisiting old match day threads where I was viciously verbally abused for making these points months earlier to see how the usual lot have changed their minds and agree with me on this topic as quickly as they flipped on a lot of other issues as well. Thread How was that worse than the disgrace performance at Huddersfield? For me our performance against Huddersfield was far worse and a much bigger embarrassment to the club. It was Huddersfield yet the stats looked like it was a Sunday league team playing a professional club. The 10 man argument is rubbish too, every week teams go down to 10 and still compete, even Stoke yesterday managed to mount attacks. Once his luck runs out and we stop scraping wins or points playing this brand of football, which except for the Arsenal match is worse than anything under Bradley or Clement, feelings towards Carlos will sour extremely quickly. Today he should have cost us a goal with his latest act of cowardice. Surely he needs to be dropped, he is a liability whenever we are defending or attacking corners. I sincerely hope he doesn't play another minute for us this season. Players like him with their lack of commitment are a large part of the reason we are where we are. Nobody in our team is better at linking our defence, midfield and attack by driving forward with the ball in our own half, taking on a player or two to drag opposition players all over the place. Those who frequent the matchday threads know I repeat this every week. Why Clement has him playing as a defensive midfielder under clear instruction to barely cross the halfway line is baffling. Here is an example of what I mean, last night against Columbia. "In December 2016 I joined Kaplan-Levien Sports as head of strategy. At that time I also became senior advisor for football operations at Swansea City AFC, where I played a small part in the greatest turnaround in the history of the Premier League. " This is presumably the man behind the analytics that decided £16,000,000 was worth paying for Clucas. What a fantastic achievement by what can only be described as one of the most exciting crops of youngsters ever seen in British football history. This is in addition to the U20 World Cup victory and the U19 European Championship victory, as well as the second string retaining the Toulon championship. Thread Could you replicate this with Corbyn and May policies? Thread Should Fabianski have dealt with this corner? Should Fabianski have dealt with this corner? Thread Unforgivable, lazy defending from defensive midfielder and captain, Jack Cork. He sees the attacker making the run in behind. Yet all he does is point, despite the fact he is marking absolutely nobody. There were many other examples of this throughout the game, however they did not result in goals. He offers very little protection to the defence and his contribution going forward is almost nil. He plays purely to protect the defence, yet he fails to do this so often. Carrying lower league players like him is why we are in the position we are.